As a graphic designer, a photographer and a publisher, Alain Pons is above all a man of images. For over thirty years he has been photographing wildlife and the natural word and has travelled to some of the most beautiful sites in the world. Alain's photographs show the un-paralleled beauty and heritage of our fast-disappearing planet and through his images he attempts to increase the awareness of its fragility in this era of environmental change. 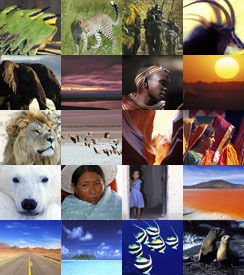 For some people photographing animals is a hobby, for others it is a job: for Alain it is an absolute necessity. 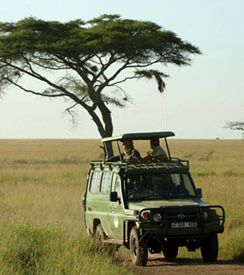 He has organized his life around nature, travel, photography and friendship for the past thirty years. 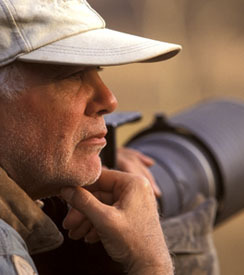 For those of you who wish to explore with him on his next photographic safari, please leave your email address. 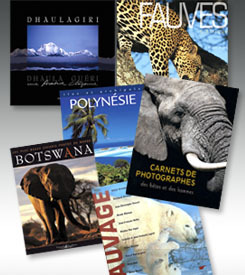 In all of his books, Alain hopes to pass on and share his passion and his creativity. For him, books are a unique opportunity to unveil his photographs and emotions. Through Alain Pons' lens, wild animals abandon themselves to their rituals without modesty; they dance, mate without being disturbed by this carefree traveller who knows and loves them so well. Alain depicts animals as they are. He knows their habitat and he craves their company. The great respect he holds for nature and wildlife, together with the need to share his passion, inspire his work: whether alone or in a herd, at rest or in flight he captures wildlife as nobody else can. His fascinated eye attracts us to a fascinating world.